SBW: You've got the new Orvis catalogue? SBW [wearing a quizzical smirk]: Do they sell anything else I might like? 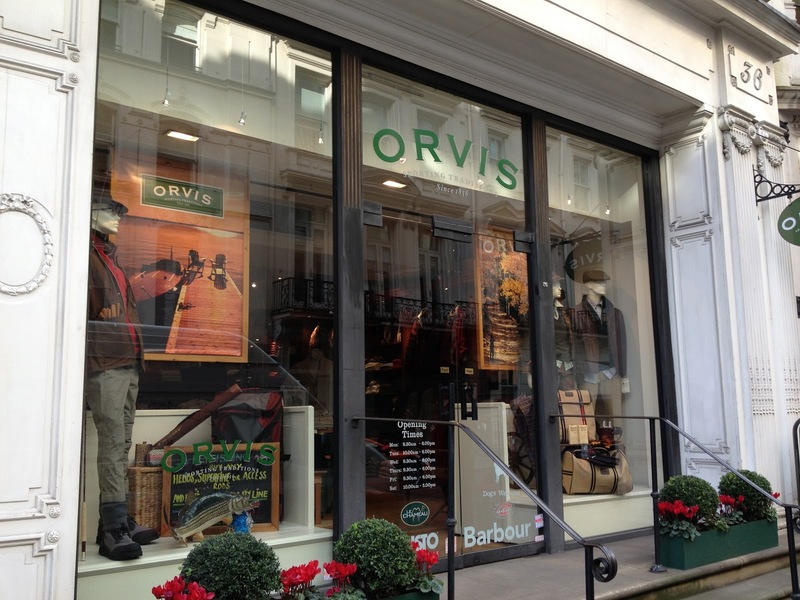 Its easy to mock brand diffusion, to complain that a heritage sporting brand has become a clothes shop with a few rods out the back, my mum was totally shocked to learn that Orvis sell fishing gear. But seriously people, Orvis' customer service is second to none. No one does it better. If you search the fly fishing forums you'll find example after example of people posting how they were seduced by AN Other brand and how disappointed they were when they needed a repair, and how its back to the lovin' arms of Orvis from now on. A massive shout goin' out out to Jimmy and Declan of the Orvis store in London's Dover St. Really nice guys, loads of good advice and they proper went above and beyond when it came to sorting out my waders. Customer service done right. Thanks chaps. More fly fishing adventures soon as your pal SBW and local blogger The Lighthouse Keeper have a play-date with some Grayling.